Home https://server7.kproxy.com/servlet/redirect.srv/sruj/smyrwpoii/p2/ Technology https://server7.kproxy.com/servlet/redirect.srv/sruj/smyrwpoii/p2/ Will Nintendo and Xbox's cute cuddling turn into a full-on makeout sesh? There are many recent reports that Nintendo and Xbox are going to collaborate on something major. A lot of the rumors deviate slightly with regard to the finer details, but the broad concept is mostly the same: Xbox Game Pass and select Xbox first-party titles will eventually end up on Nintendo Switch. 9. 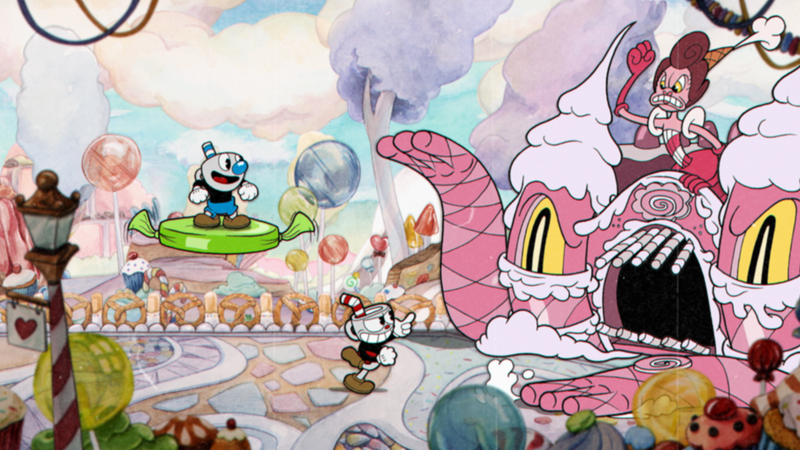 Windows Central ups the ante by saying Cuphead is also included, and that these first games are " test cases for the new Xbox Live SDK for third-party developers. " JeuxVideo has heard that Microsoft plans to make use of its project xCloud tech to allow Game Pass titles to stream onto Switch; currently, Xbox Game Pass requires titles to be downloaded locally to Xbox One. Phil Spencer has been perfectly adamant in recent years that Xbox isn't a console. It's a platform. Microsoft's persistent efforts to break down the barriers between console and gaming have been representative of Spencer's goals. Getting Xbox on Switch would be exponentially more impactful – not to mention entirely unbelievable only a few years ago. There are a couple of prime candidates for reveal events. E3 is obviously a good place to announce a new partnership. But, considering how relevant this is to developers and how much tech is involved, this could happen at the Game Developers Conference in San Francisco in late March. Xbox has a session on March 20 where it'll introduce everyone to its new cross-platform SDK that'll all expand Xboxes reach more than two billion devices.